"We cannot guarantee that there will be no dangerous provocations on election day." Ukrainian Foreign Minister Pavlo Klimkin has said that the Central Electoral Commission has decided against opening polling stations in Russia for the 2019 presidential election on the Foreign Ministry's suggestion. He said the decision had to do with security concerns. "We believe that holding free and fair elections in the aggressor state is impossible and devoid of any political or legal sense while it is simply dangerous for those who will decide to take part in them," Klimkin said in a column for Ukrayinska Pravda. "In recent years, Russian propaganda flared anti-Ukrainian sentiments in Russia to the level of hysteria. We cannot guarantee that there will be no dangerous provocations," he added. 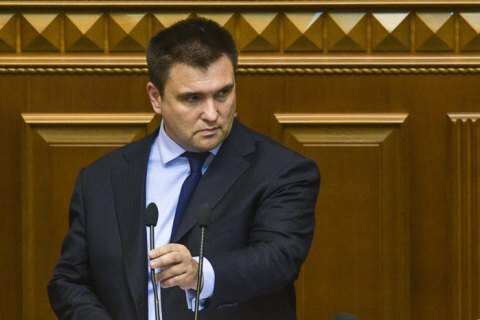 Ukraine cannot trust Russia's assurances of security, according to Klimkin.